It’s the busiest racing weekend of the season so far for the International Hot Rod Association with a pair of double-race weekends for the Summit Sportsman National Championship and the first of nine division races in the Summit Team Finals. 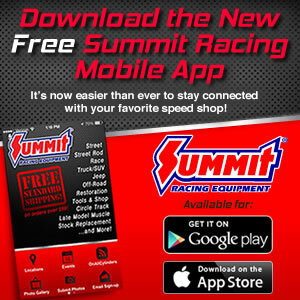 Summit Sportsman National Championship races are scheduled for Memphis International Raceway in Millington, Tenn., and Empire Dragway in Leicester, N.Y. These are the 11th and 12th events on the 15-stop Summit Sportsman National Championship with the intensity ramping up in the title battles. Three of the SSNC points battles are particularly tight entering the final stretch. Marty Blair, the 66-year-old veteran from Spicewood, Texas, holds just a four-point lead over Mark Payne of Waynesboro, Va., in the Top Sportsman standings. Johnny Tolisano, a former Junior Dragster champion from Jupiter, Fla., has a 10-point advantage over Ivey Brannon of Boiling Springs, S.C., in Top Dragster. Christopher Webb from Four Oaks, N.C., leads multiple-time IHRA champion Troy Williams Jr. of Daytona Beach, Fla., by just a three-point margin in the Hot Rod points battle. Two other North Carolina drivers also are among the current Summit Sportsman National Championship points leaders. They are Steve Furr from Harrisburg in Super Rod and Danny Waters Jr. from LaGrange in Quick Rod. Florida racers lead the remaining classes. Mark Nowicki from Holmes Beach has a big lead in Super Stock, and Myron Piatek from Holly Hill enjoys a large advantage in the Stock class. In addition, Nick Ferraro from Ft. Lauderdale paces the Junior Dragster division. The championship battles could see some dramatic shifts after this weekend with drivers using points claims from seven of the first 10 races they attend. For drivers in the IHRA Summit SuperSeries, this weekend means the beginning of the Summit Team Finals. The first of those competitions is the Division 6 (Border Bandits) final at Northern Lights Raceway in Fort St. John, British Columbia, Canada. Four tracks — Northern Lights Raceway, Nitro Motorsports Park, Hi-Line Dragstrip and Alaska Raceway Park — are eligible for the Division 6 final as racers look to advance to the Summit World Finals in Memphis on Oct. 20-22. They look to duplicate the success of Vic Ellinger, who last season captured the Division 3 Mod championship and then a few weeks later, went on to win the IHRA Summit SuperSeries title. Check out IHRA.com early next week for recaps of all three of the weekend’s major events.